Have you recently been told by Apple that, they cant repair your computer? Perhaps the cost of repair is more than you can afford. Many Mac users are confronted with this situation. Apple genius will have one look at your computer to tell you that your computer is not repairable. Reasons can vary depending on the mood of the technician. 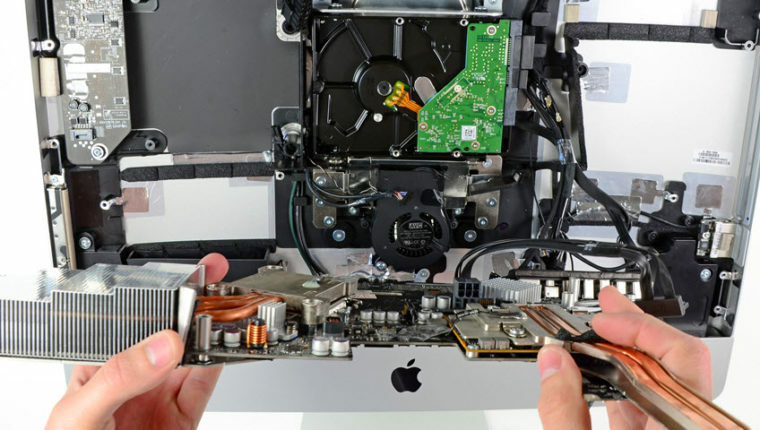 One of the main reason your computer is not repairable according to apple technician is that it is more than 5 years. Computers which are 5 years old are no longer serviceable. According to them. Another reason may be physical damage or liquid damage. Whatever the situation don’t believe the person that says your computer is not repairable. Especially Apple’s computers. I suggest you not to lose hope after your last visit to the apple store. We get asked this question a lot. Are you sure you can repair my computer because Apple said your computer is not repairable. Our technicians have repaired countless Apple devices and computers to date. With a proven success record and satisfied customers. MacBooks, iMac’s, Mac Pro, Mac Mini, iMac PRO. All Apple computers are repairable. If you only need your data retrieved from your Apple computer, this service is also available at Gadget Fix. Computer problems sometimes can be annoying. Sometimes they will not turn on. Sometimes there is no display or sound. Well, whatever problems you are having with your Apple computer let us help you. Next time one of your friends or family members says to you my computer is not repairable. You can tell them otherwise. Unexperienced computer repair shops will also tell you that your computer is not repairable. Apple computer repair specialists Gadget Fix in Melbourne have helped 1000’s. Apple computer repair service saves your data and your device.